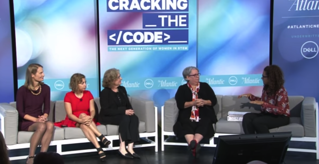 In September, our founder and director, Christine Cunningham, was invited to participate in “Cracking the Code: The Next Generation of Women in STEM”, hosted by AtlanticLIVE. Alongside other STEM education researchers, corporate leaders, and prolific children’s book author Andrea Beatty, Christine participated in discussions that aimed to answer the question: how do you get more girls and women interested in STEM fields? Christine first noticed the trend of capable women and girls dropping out of STEM fields when her female classmates began disappearing from science classes. She has dedicated her career to battling the misconceptions and stereotypes that keep underrepresented populations out of STEM. Over the course of the day-long event, she shared valuable insights into the lack of female representation in science and engineering that she’s gained over more than a decade at the helm of EiE. In the “The Formative Years” panel, Christine and her fellow panelists discussed how keeping girls interested in STEM is a lifelong process that needs to start at home with parents, in local libraries, and in younger grades. Christine shared experiences from her own childhood, crediting her mother’s interest in science and math for sparking her early interest in STEM. She noted that this influence, along with her precocious love of teaching, lead her to a PhD program in science education where she focused her studies on STEM education as a tool for social justice. Christine soon realized that it was time to “bring engineering down from just being a collegiate or high school endeavor. We have to [reach students] before they’ve been socialized [to believe] that they can’t do it.” After students solve an engineering design challenge and start to see themselves as engineers, she said, “It’s harder for someone to come and say ‘you don’t belong in engineering’ after they’ve had this positive experience”. 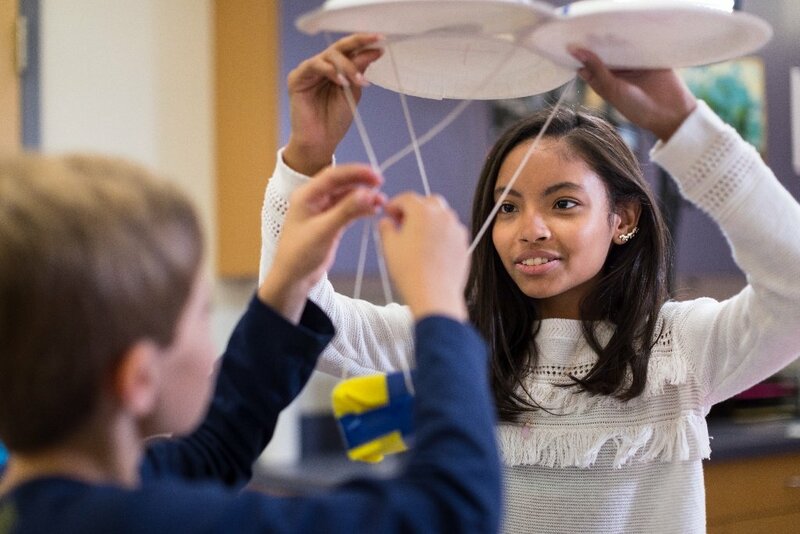 We’ve written about how educators and parents can create positive engineering experiences at home and in the classroom on the EiE blog. 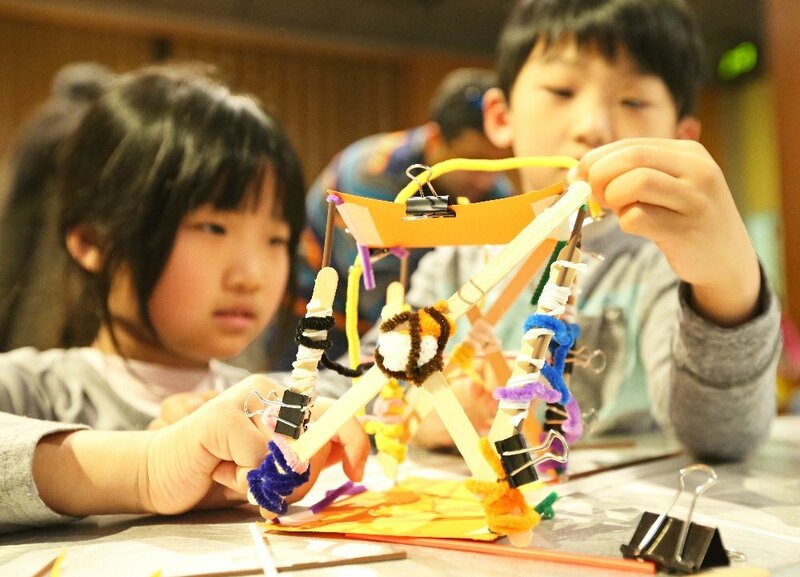 Check out our post about family-friendly STEM activities to learn more about sparking children’s interest in STEM at an early age. During the panel, an audience member expressed concerns about teachers’ negative attitudes toward STEM. Andrea and Christine share an interest in presenting engineering concepts through engaging literature to make them more accessible to ELA-focused educators. We’ve also written about how literacy instruction and STEM go hand in hand on the blog—check out our posts about integrating writing into your engineering lessons and free literacy resources. 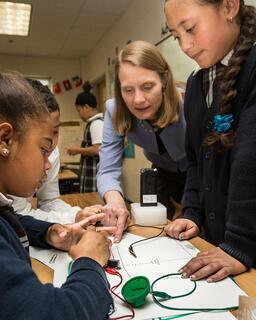 The EiE team also recommends sharing the benefits of STEM learning to engage hesitant teachers. Attending professional development workshops, watching classroom footage, or reading research that demonstrates the power of engineering can help ease teachers’ STEM fears. And, as Christine shared, one of the most gratifying things we hear from EiE teachers is that they never realized an underperforming student could be such a great engineer. By engaging in STEM lessons that are outside of the norm, teachers have to see themselves and their students in a new light. 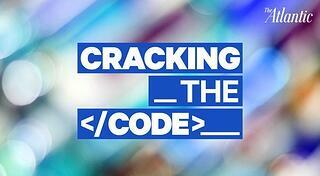 Christine highlighted another crucial way to keep girls interested in STEM—framing engineering as a “helping” profession. 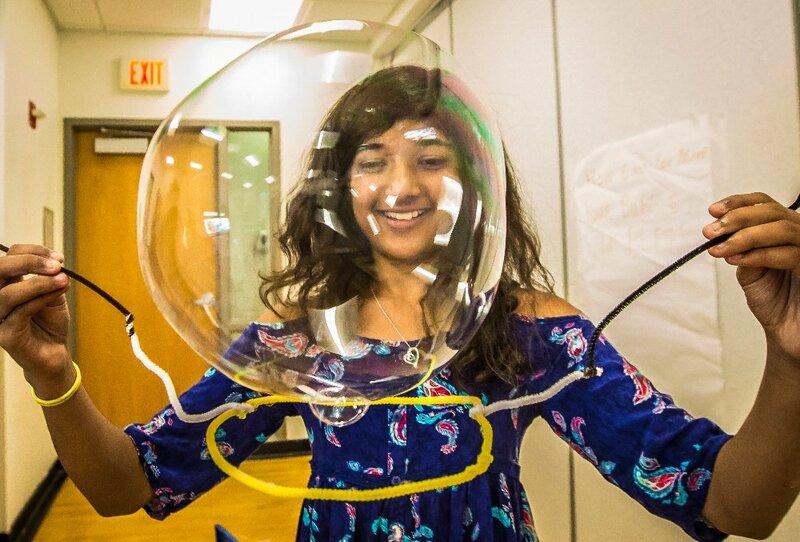 She emphasized drawing out the explicit ways that engineers help people, animals, society, and the environment by designing engineering challenges that have a real-world context. She and her fellow panelists share the hope that they can continue to start conversations and foster design challenges that give girls the opportunity to solve real problems and create a better world. 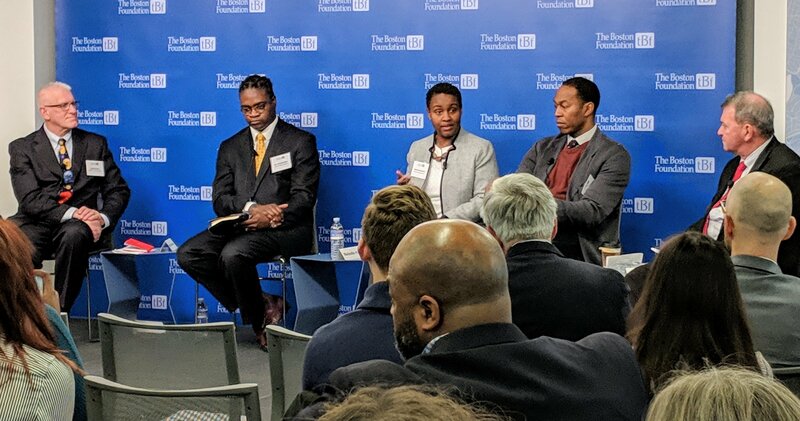 This event was an exciting opportunity for Christine to share her insights on one of EiE’s foundational principles: how do we make engineering accessible to everyone? Events that celebrate female CEOs, STEM authors, curriculum developers, and young STEM enthusiasts show just how far the field has come. We’re excited to see how EiE and programs like it encourage girls to follow their passions and create the next generation of problem solvers. We’re excited to announce that Christine will be sharing more of her wisdom in her upcoming book, Engineering in Elementary STEM Education: Curriculum Design, Instruction, Learning, and Assessment. Learn more and preorder your copy before it’s released later this year!